Numerous books have been written over the years about relationships. Some have been very helpful in shaping the way that I work with couples and I’ve learned a great deal from each one I’ve read. Here’s a list of some of my favorites. Dr. Johnson, who is widely known for her development of Emotionally Focused Couple Therapy, teaches us that the key to a lasting relationship is being open, attuned and responsive to our partners. In this book, Esther Perel looks at infidelity through an entirely different lens and explores thought provoking questions such as why people cheat even when they’re in a happy relationship and what infidelity really means. She even tackles that idea of affair proofing your relationship and if that’s really possible. If you want to figure out what you’re doing right or wrong in your relationship, then this is a good book for you. Dr. Gottman gives concrete advice on how to make your relationship thrive. This book talks about eliminating the negativity from daily interactions between couples. If you want to improve your understanding of intimate relationships, think about adding this to your collection. 5. The Relationship Cure: A 5 Step Guide in Strengthening Your Marriage, Family and Friendships. A helpful for all types of relationships, not just for couples. 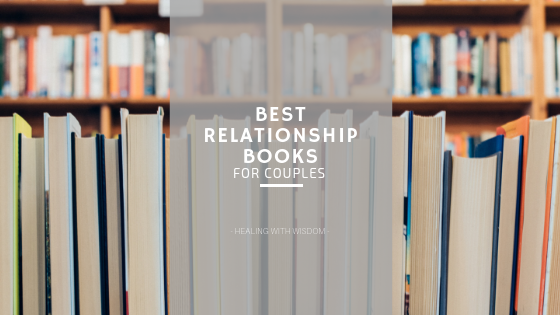 It provides some good insights about how successful relationships work as well as tools to improve the quality of your relationships. By Janis Abrahms Springs, Ph.D. I recommend this book if there’s been a violation of trust that stems from an affair. It helps both the hurt partner and the unfaithful partner better understand the affair and make decisions about whether they want to continue or end the relationship. This is a great book for understanding the different languages of love and how important they are for making relationships work. It identifies 5 different love languages that are spoken: Words of Affirmation, Acts of Service, Physical Touch, Receiving Gifts, and Quality Time. It includes a questionnaire to help couples learn their language. What are some of your favorite resources on relationships? Such a great resource list. Thank you!